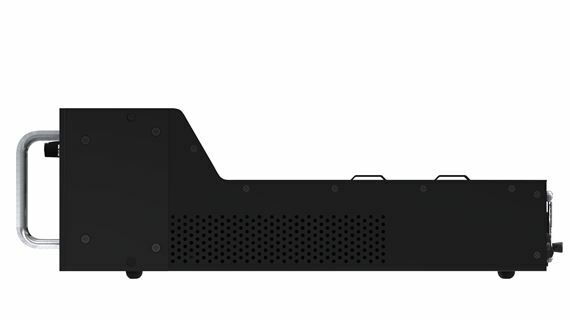 Exclusive 12, 8, 5 or 3 Easy Payments on Mackie DL32R 32 Channel Digital Rackmount Mixer only at AMS! Free 2 Day Shipping and Free Extended Warranty. Call our Gear Experts at 800-319-9043 for expert advice! The DL32R delivers 32-channels of powerful digital mixing that’s completely controlled wirelessly from your iPad, freeing you to get in the mix like never before. 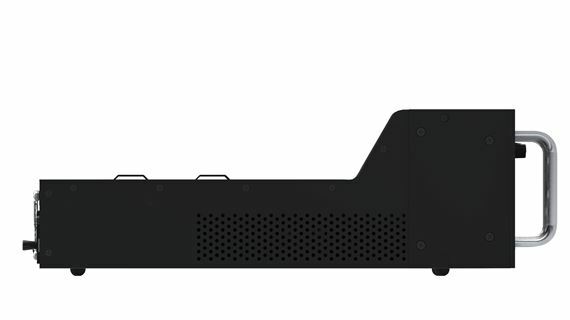 It’s got convenient direct-to-drive multi-track recording/playback and an ultra-compact 3U rackmount design that lets you ditch the snake once and for all. Master Fader v3.2, now available for free download, bringing powerful new features to DL32R in addition to performance and workflow enhancements for DL1608 and DL806 users. Also available now is My Fader v3.2 which also adds enhancements. 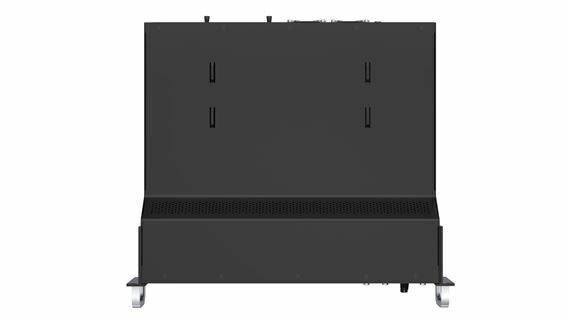 With Master Fader v3.2, the DL32R now allows a full 32-channels of both recording and playback via USB hard drive giving users the ability to wirelessly control 32-channel recordings and virtual sound checks from anywhere in the venue. With a choice of 32x32 direct-to-drive recording, the ability to connect to Mac/PC and even networked recording via Dante Virtual Soundcard (DL Dante Expansion Card sold separately), DL32R delivers unmatched 32x32 recording flexibility. The new mic pre view allows access to all input gain controls, phantom power and metering for all 32 mic pres in a single view. In addition to streamlining initial setup, mic pre view makes the DL32R an even more powerful digital snake when paried with the DL Dante Expansion Card. Master Fader v3.2 also delivers VCA enhacements to DL32R, DL1608 and DL806 users. Now, when a channel is assigned to a VCA, a semi-transparent fader cap is also shown so users can see level changes caused by VCAs on the input channel itself. Additionally, if a VCA is muted or soloed, assigned channels will now show that they are being remotely muted or soloed. Master Fader and My Fader v3.2 are now available for free download on the App Store. 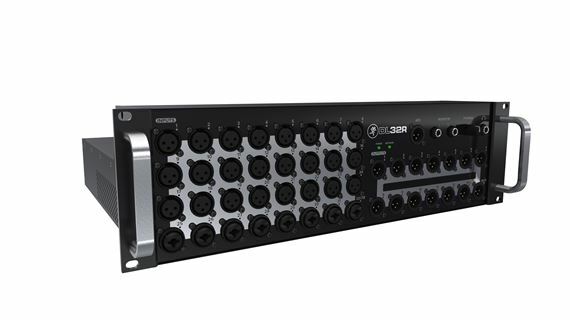 Fully loaded with DSP on each of the 32 Onyx+ mic pres and 28 busses, the DL32R provides the power needed for professional applications. The industry-proven Master Fader control app delivers extremely intuitive control over everything, including the ability to digitally recall each and every setting for incredibly fast setup. 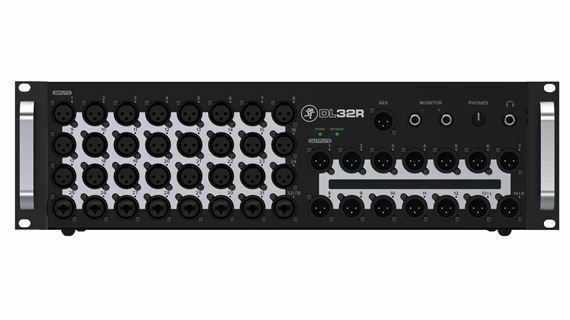 Control everything from anywhere with the Mackie DL32R. Footnote: iPad is sold separately. One of the best sounding mixers ive used in a while, and the controls are phenomenal. Cant wait till mackie revamps master fader for Android! The Mackie DL32R is one of the best mixers I ever own. It’s great because you can sit it on the stage and sit in the audience and mix form the audience prospective. Also easy to learn. Not a big learning curb. This is the best out there! The Mackie DL32R is amazing! It cuts down on the amount of gear you need saving lots of time, plus the presets make it super fast to get a great mix. The audio quality is incredible, as is the easy to use My Fader app. My favorite feature is being able to kick back in my lounger while creating new shows and pre-configuring them before even stepping into the venue. Just do a virtual sound check from a prior recording and you're ready before the band even plugs in. After reading all the reviews and watching all the demos I was sold. Glad I bought it and love it much more than the X-32. This mixer surpasses any mixer I have have used and seen around. I had and loved the 1608 but when this one came along I had to get this one. So many more features such as the 32 recording to laptop, 24 on portable hard drive but mackie techs said the fix is coming for the 32 soon. I love not having to stand at the mixer for increasing input gain. I could hardly wait to try try out the other features like Dante and using matrix. My friends want one too. When I purchased this item from the wording and picture I assumed that the iPad came with it and when received it was not in the box. Even the box it came in is deceiving to make you think that one came with per the picture on the box....very disappointed.